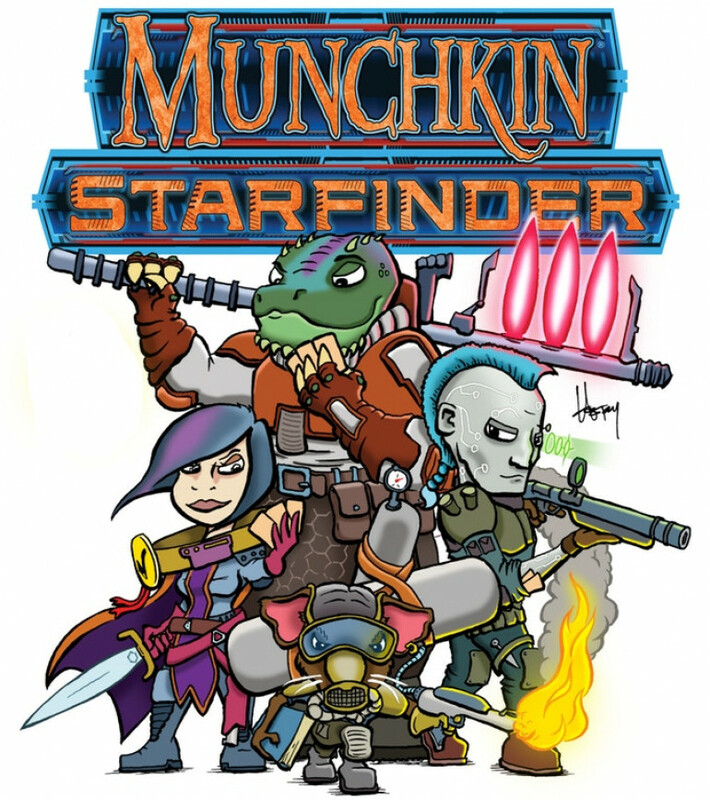 A Starfinder-themed version of Munchkin complete with looting, lasers, and levels! Play a laser-toting explorer in Munchkin Starfinder, where we combine the backstabbing, monster-killing, "roleplaying" action of classic Munchkin with the hostile planets, sleek starships, and alien creatures found in Paizo Publishing's new Starfinder Roleplaying Game! Choose from more than a dozen new races and classes to beat up space monsters, loot exotic planets, and race to Level 10. 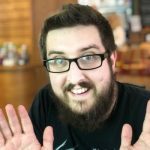 Munchkin Starfinder was developed by Munchkin Line Editor Andrew Hackard and illustrated by Howard Tayler, known for his webcomic Schlock Mercenary as well as his work in the Writing Excuses podcast alongside Brandon Sanderson and other great authors. This 168-card stand-alone game comes with new races, new classes, and Starfinder-specific card backs. Like most Munchkin games, this is for 3 to 6 players, ages 10 and up, and takes 1 to 2 hours to play.